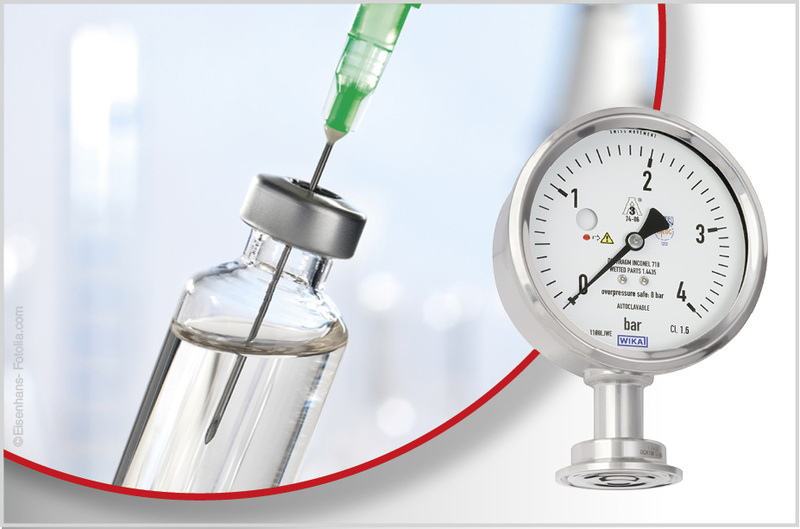 The highest demands of safety in sanitary applications are fulfilled by the new model PG43SA-D diaphragm pressure gauge from WIKA. It is unique in featuring an integrated diaphragm monitoring and thus eliminates the risk of an undetected diaphragm rupture. The patented monitoring functionality enables the immediate indication of any rupture in the diaphragm element via a red warning dot on the dial. Thus the otherwise usual, regular removal of the measuring instrument to check the measuring element is no longer required. Even in the event of a diaphragm rupture, the process risk is minimised: A second barrier in the pressure measuring instrument reliably maintains the hermetic separation of the atmosphere and the process. 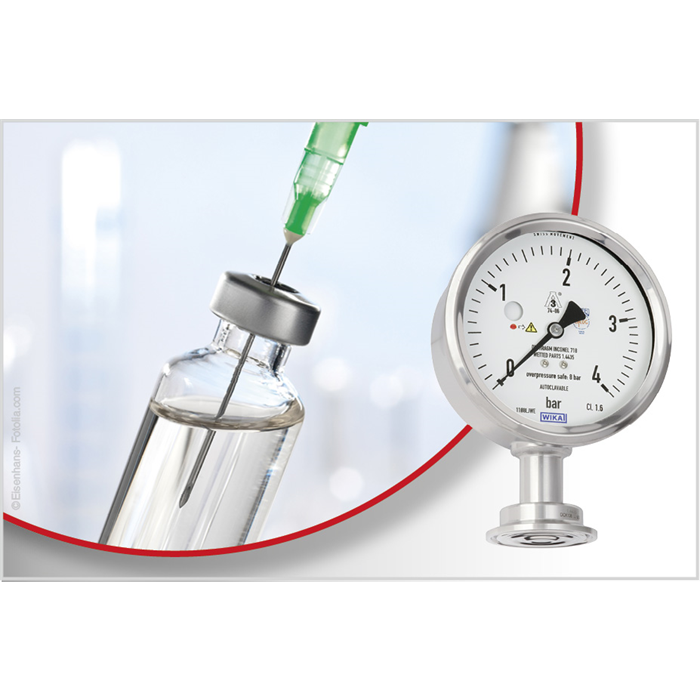 Furthermore, the purely mechanical pressure transmission, which excludes the risk of any contamination through transmission fluid, and the high overpressure safety push for the PG43SA-D to be used in processes with sensitive and/or critical media. Its certified hygienic design also enables optimal cleaning: The instrument is completely autoclavable and CIP, SIP and wash-down capable. For a dead-space free and flexible integration into the process, a wide selection of aseptic connections is available.